As the medical outreach liaison for The Mesothelioma Center at Asbestos.com, I meet with the nation’s top specialists and researchers who strive to find a cure for mesothelioma. 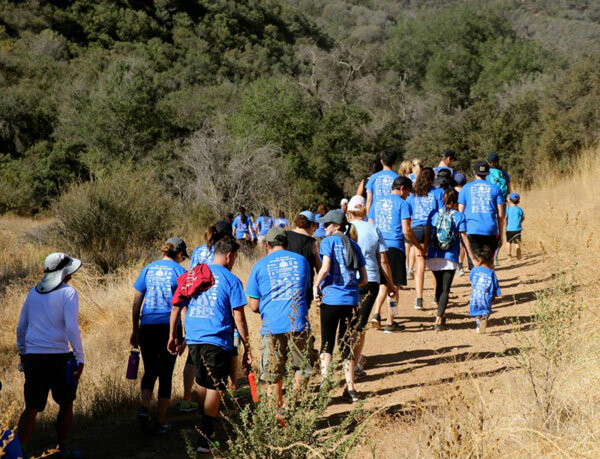 The Pacific Mesothelioma Center’s 7th annual 5K Walk/Hike for Mesothelioma is an important event in the fight for a cure, with the goal of raising funds to find better treatment options for this rare cancer. PMC is a specialty treatment and research facility whose work provides hope for patients and families affected by malignant pleural mesothelioma. This year’s event is Oct. 21 at 9 a.m. at the famous Paramount Ranch in Agoura Hills, California, just outside of Los Angeles. I would encourage all to attend. We have a few open spots on our team at Asbestos.com for anyone interested. Just contact one of our Patient Advocates if you can come. I can tell you from past experience, the event is inspiring, uplifting, personally rewarding and a pretty good workout, too. You will feel good about being there. Walter Pacheco, our managing editor of Asbestos.com, is carrying the torch this year. After years of hearing me rave about the event, he wanted a closer look. What he’ll see is tremendous camaraderie among the participants, who include mesothelioma survivors, their families, friends, medical staff, well-wishers and a lot of people who just believe in the great work being done at the Pacific Mesothelioma Center. The bonding that happens at the 5K is truly moving. Everyone is committed to a singular, well-defined cause — to raise awareness and money to fight a rare and aggressive cancer. Walter is excited to be part of that group. I think a lot of others will be, too. On my last trip, I made a bunch of new friends. There was the newly diagnosed patient who is still doing well, the family member who was there to honor a loved one he lost to mesothelioma, and another individual who just wanted to learn more about this disease. The family-friendly walk brings participants of all ages. More than 300 people attended last year’s event, which surpassed its $150,000 goal by raising $160,900 for mesothelioma research. There were a lot of smiles and a lot of laughter. This cancer may be cruel and punishing, but this event is not a somber affair. Just the opposite. Trust me. It’s very uplifting, encouraging and hopeful. They serve breakfast before the hike, a great lunch afterward and give away all kinds of good prizes, mostly donated by the local businesses that are happy to be involved in such a worthwhile event. There is a lot of history at the event site, too. The Paramount Ranch is picturesque, taking you back in time. Even if you’ve never been, you might recognize some of the scenery from old Western films and TV shows. Bob Hope was there 75 years ago when he filmed “Caught in the Draft.” Gary Cooper and Claudette Colbert walked the grounds. “The Cisco Kid” and “Tombstone Territory” shot episodes there. More recently, Sandra Bullock filmed scenes from “The Lake House” (2006) at Paramount Ranch. Scenes from the popular HBO series “Westworld” was also filmed there. It’s a neat feeling when you look around. But more importantly, by participating, you’re helping fund much-needed mesothelioma research. You’ll see patients and families from different walks of life come together and form support groups that will last for years. You’ll likely get a chance to meet thoracic surgeon Dr. Robert Cameron, one of America’s leading authorities on mesothelioma. He’s the driving force behind the Pacific Mesothelioma Center. I met several people last time that said they owe their life to him and what he has done. If you or a loved one have been affected by mesothelioma, consider attending this great fundraising event.